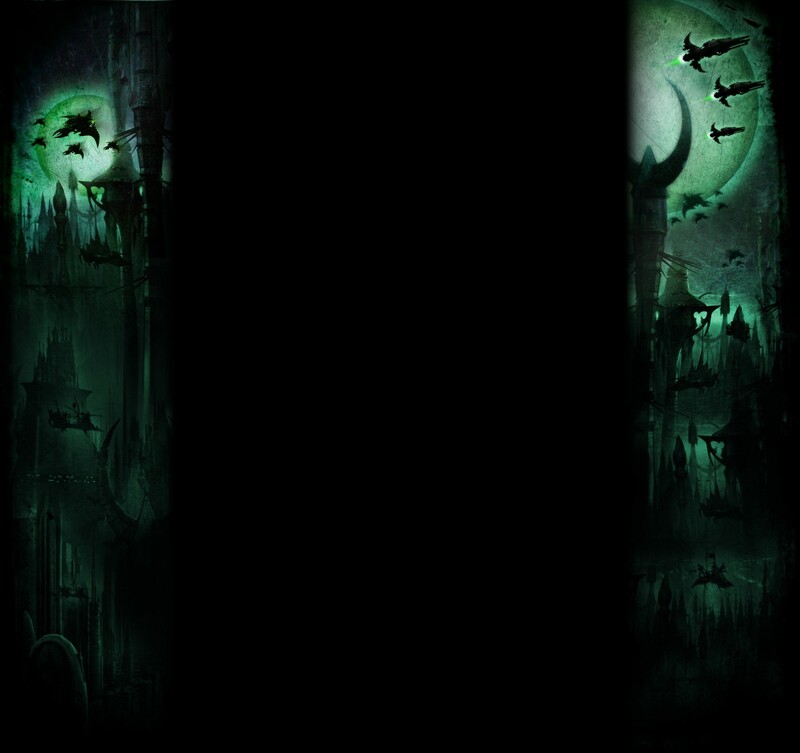 I'm starting a long term project converting up some Eldar Corsairs, and I'm having trouble tracking down some suitable conversion bits. So far I'm focusing on jetbikes and reavers with jumppacks. The jetbikes I'm planning on using DE reaver bikes, eldar windrider riders (with wych/harlequin weapon arms). My issue with these is finding a suitable source of jetbike scatter lasers and riders. Do the eldar war walker weapons work underneath? Reavers I plan on using wych legs, guardian bodies and wych/harlequin arms, as well as FW jump packs. 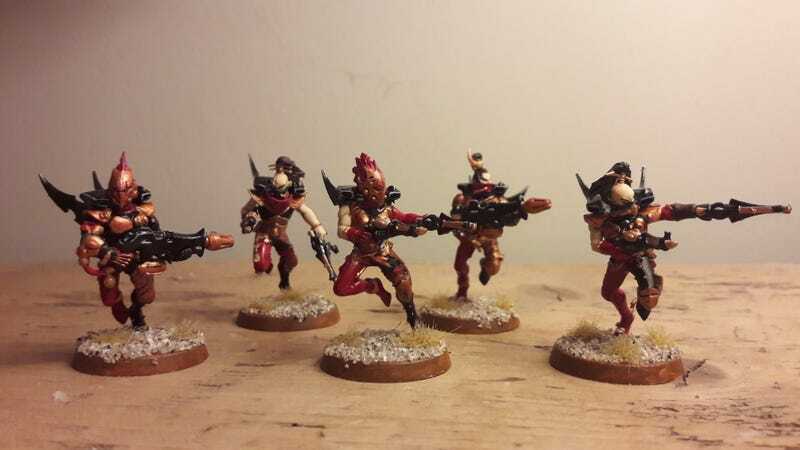 My big problem for them is finding eldar fusion guns- any idea what kits they come in? But, my biggest challenge is... heads! I'm really not a fan of eldar or dark eldar helmets- really don't like the cone head look! I generally prefer bare heads, but having trouble tracking down enough variety. Obviously the DE wyches, reavers and hellions all have some good options, and the Eldar guardian kit has a couple. Are there any Age of Sigmar elf, eldar or 3rd party heads that would be suitable? EBay. Search 40k dark eldar heads and you'll find a lot of options. Also, and I'm not sure who, but someone here some pretty good models using Wild Riders heads from the AoS line. We don't wear jumppacks. We wear jetpacks. How are you sourcing your windrider riders? I'd buy full 3 bike boxes of the new/current sculpt. 3 riders, 3 scatter lasers, and 3 jetbikes to save for a seercouncil or something else later. Otherwise: Get the scatter lasers from where ever and direct barrel swap for the splinter rifles and use the underslung splinter rifle mounting section to mount the scatter laser to the de reaver jetbike. 1 Fusion gun and 1 flamer come in the Craftworld Storm Guardian conversion kit. I like Scourge heads for voidstorm bands and other specialists. AoS elf heads do work, I don't like glade guards, but Black Ark Corsairs, Wildwood rangers/Eternal Guard and witchelves work. I also like hellion heads in some cases. As for jetpacks, I've made mine out of the little keel vanes you get in Raider and Ravager kits. A little less bulky (and cheaper!) than the FW versions. As for Fusion Guns, it's really only the one in the Storm Guardian upgrade kit that is readily available. You get them on Fire Dragons too, but I don't know how many are loose and how many are cast into the body of the model. @YW yes, that is the one. Very cool. 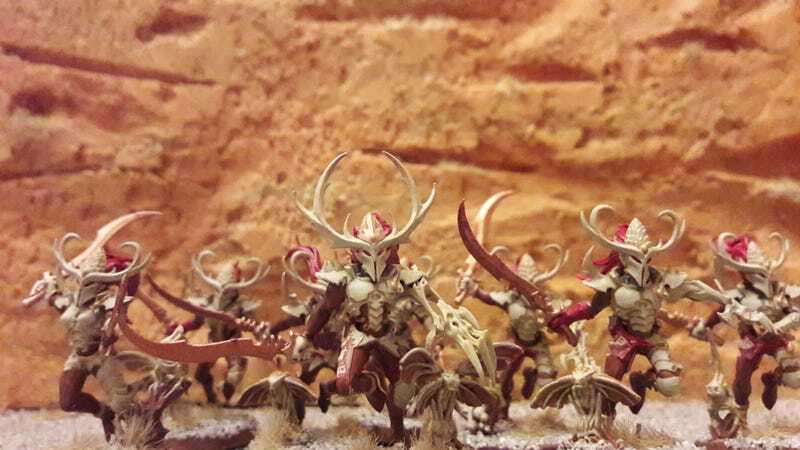 I never would have thought mixing the nature theme parts from the wood elves would transfer over to dark eldar and look so unnatural. I mean that in a good way, very alien, very cool. As for guns, I recommend looking Into making a mold. Search "green stuff mold" on YouTube. The tutorial by Corvus Miniatures is really easy and works for all sorts of small items. Thanks for all the replies- some great ideas in there! Also @yw those wild riders look awesome! Guessing you were using them as malevolents? Right, lots of work to do! Thanks guys! Yeah they're Striking Scorpions, but you've just given me the idea that I could quite easily use a lot of my exodites with Corsair rules neat idea!